When applying for your 8a certification, there is one common issue that sometimes confuses applicants. The question on whether you meet SBA 8a net worth requirements becomes complicated when there are second mortgages on the primary residence, etc. Although the 8a Program rules seem straightforward, applicants still have concerns about related issues such as rentals, mortgages and retirement accounts. Besides, there are cases where the SBA has denied 8a applications through its own error. Do you meet the 8(a) program qualifications? What Does The SBA Look At For Net Worth Requirements? The total fair market value of the applicant’s assets. Fair market value of assets includes the value of your company and the value of the primary residence but excludes retirement accounts. Tip: SBA OHA lacks authority to unilaterally admit a petitioner into the 8(a) BD Program. If it finds the SBA’s determination to be unreasonable, however, it can order the SBA to grant entry into the Program. See G.M. Hill Eng’g Inc., SBA No. BDPE-496, Ruling And Order Denying Government’s Petition For Reconsideration (2013). Tip: An individual with a personal net worth of more than $250,000 is not considered economically disadvantaged. 13 CFR 124.104(c)(2). When calculating net worth, the SBA excludes the ownership percentage in the applicant company and the equity in the owner’s primary personal residence. Id. Funds invested in an official retirement account are also excluded from the net worth calculation, as is income from the applicant company that is reinvested in the company or used to pay the company’s normal taxes. 13 CFR 124.104(c)(2)(ii)-(iii). The SBA will not consider an individual with a net worth of more than $250,000 or with total assets more than $4 million for 8(a) certification as they are deemed not economically disadvantaged. Exclusions from Net Worth Requirements: When determining net worth, the SBA does not include your interest in the company, the equity in your primary personal residence, or the value of any official retirement accounts. If you find that the SBA miscalculates your net worth, and denies your 8a certification application, you will want to do more than just make the allegation. Instead, you will want to articulate the particular error(s) and submit a request for consideration on the issue. You should have a CPA that understands the rules to make a detailed report as to why the net worth calculation is in error. See Matter of Ironwood Commercial Builders, Inc., SBA No. BDPE-532 (2014) for tips on home loans, second mortgages, etc. 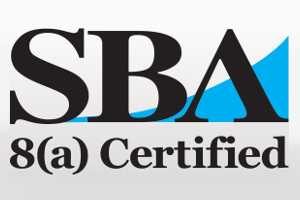 See Information About Complying With SBA 8a Program Annual Requirements. Learn more about getting 8(a) Sole Source Contracts With the Government. For help with your application and making the appropriate adjustments for meeting SBA certification requirements, call our government small business experts at 1-866-601-5518.